Members of the European Parliament have called on Turkey to lift an ongoing state of emergency declared after a failed coup in July 2016 that they say is now being used to silence dissent and opposition. The MEPs also condemned Turkey’s repression of criticism over its recent assault Afrin, in northwestern Syria. 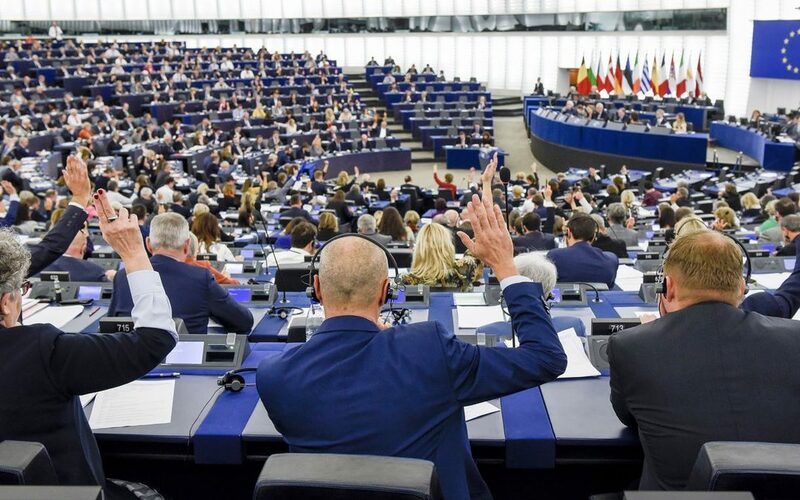 The European Parliament earlier on Thursday adopted a resolution on the human rights situation in Turkey, emphasizing the structural problems that exist, such as the state of emergency and the arbitrariness of the judiciary and also mentioning individual human rights cases. According to a statement released on Thursday by the EP’s Dutch member and Turkey rapporteur Kati Piri, the resolution says: “The European Parliament strongly condemned the attempted coup of 15 July 2016; where-as on 18 January 2018 the Turkish Parliament extended the state of emergency in Turkey for another three months; whereas the State of Emergency is currently being used to silence dissent and goes way beyond any legitimate measures to combat threats to national security. Piri said in her statement: “The numbers are mind-boggling. More than 100.000 people have been fired and over 50.000 imprisoned in Turkey. Remember that all these people have a face, have a family, and have friends who are hoping that a normalization is still possible. “The scale of the current crackdown on all democratic opposition voices in Turkey is unprecedented. While the Turkish authorities have the right to bring those responsible for the heinous coup attempt of 15 July 2016 to justice, the state of emergency is currently being used to silence dissent and goes way beyond any legitimate measures to combat threats to national security. This article originally appeared in Turkish Minute on Feb 8.